A garage door technician's work is never done. The following are some of the latest projects our team completed. If you're ever in need of professional assistance, you know who to call. 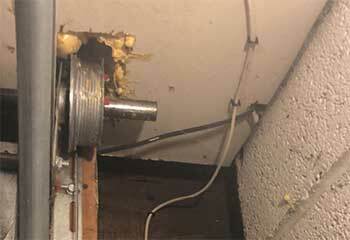 Customer Issue: Mr. Gould's garage door wouldn’t open because of a broken spring. 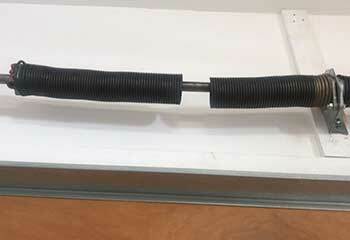 Our Solution: Our technician removed the original spring and replaced it with a heavier-duty unit. He then tightening all components, checked the door’s balance and made sure it worked properly. Customer Issue: Garage door closing halfway. Our Solution: Our quick check confirmed a cable was broken, so after disconnecting the opener, we removed the remaining pieces and installed a new cable of the same length, thickness and design. We ensured the door was even and moving smoothly up and down, with the cable rolling snugly around the drum. Customer Issue: The motor was faulty and beyond repair. 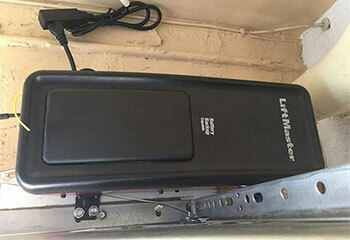 Our Solution: After confirming the motor had failed completely, we helped our customer choose a new LiftMaster 8010 belt drive opener and installed the motor, hardware, safety sensors and control panel, set up the travel limits and force and programmed the remote. 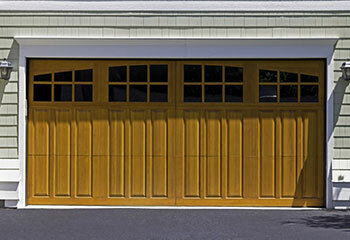 Customer Issue: Looking for a better garage door. Our Solution: After we consulted Julia, she picked an Amarr Oak Summit garage door in carriage house style. Then we installed it using high-quality hardware, connected it to the opener and adjusted all settings.